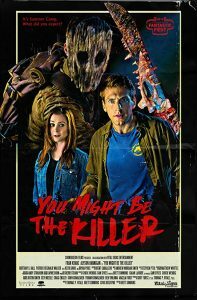 Home » Fight or Flight » Review: ‘You Might Be The Killer’ is a genre fan’s love letter. Fran Kranz and Alyson Hannigan are two of my, what I refer to as The Whedonverse, crushes. If you don’t already know what that means, the new film YOU MIGHT BE THE KILLER may not be tailor-made for you. If you’re picking up on my lingo, this film’s tongue-in-cheek structure is sheer perfection. The setup is pretty simple: Kranz plays Sam, a guy just trying to get away from it all by running his family’s summer camp. While preparing for the weeks ahead, he finds himself covered in blood and his counselors slaughtered throughout the grounds. In seeking help from his movie buff friend, Chuck (Hannigan) they discover that a masked killer stalking the camp may be closer than he thinks. The film directly pulls from the plots of classic horror franchises; Sleepaway Camp, Friday the 13th, and Scream to name a few. Never taking itself seriously, it is both formulaic and surprising. Kranz is as lovable as ever and Hannigan plays the best friend and straight shooter you’d want in a pinch, never actually appearing anywhere other than over the phone at her job in which she has access to all forms of genre nerd references. You Might Be The Killer is funny as hell and has one of the most satisfying endings ever. And I have to add that the song that plays over the credits is one catchy piece of pop rock. 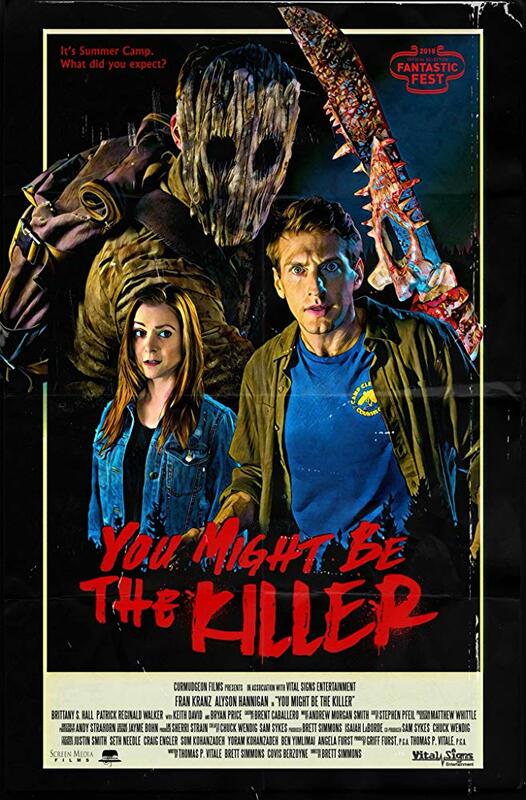 You Might Be The Killer is available now On Demand and Digital HD.